Wouldn’t it be great if becoming a landlord meant all you had to do was purchase an investment property, then sit back and let those monthly rent payments pile their way towards retirement in Tahiti? With property a top investment choice for many Australians, more of us than ever before are becoming landlords. Truth be told, the life of a landlord consists of time-consuming legal responsibilities. Fortunately, following the right tips can take much of the stress and work out of your proprietor role. Here are some tips for first time landlords to help you feel at home as a new landlord. 1. Remember, your property is a business, not your home. When you make decisions about your property, it’s only natural to put on your tenant hat and imagine yourself living there. What would you want? How would you decorate? The reality: If you’d really like to get the most out of your investment, you’ll want your property to attract the most diverse selection of renters possible (some of whom might not like a red kitchen, for instance). So, keep your interior simple and standard, with a neutral background that will suit all tastes — not just yours. 2. Know your rights and responsibilities. Australian law has many regulations in place to protect you as well as your tenants. It’s crucial to familiarise yourself with these laws. See the Residential Tenancies Act. Rights and responsibilities do vary by area, but the one requirement that holds true for all landlords is the assurance of the safety of your property, its appliances and other items. A short course in property management can help get you up to speed. 3. Set a reasonable rental amount. The best way to come up with a monthly rent amount that’s fair to your tenant and yourself is to assess your property as conscientiously as possible. Take into account its size, whereabouts and appearance, and weigh these against the neighbouring properties. Next, decide whether you’ll pay the utilities. Should you decide to add this amount into the rent, simply reference the previous year’s utility cost. Once you’ve set your amount, establish a budget that will let you squirrel away some of the rent to finance both your income and property taxes, insurance and maintenance. In the end, you’ll reduce financial stress and retain a good tenant. When you advertise for renters, make it your mission to create as much rivalry for your property as possible. After all, the more applicants you get, the better your odds are that you’ll find a top-notch tenant. Check out popular sites like Domain.com.au and RealEstate.com.au, and review existing rental announcements for ideas on what to include or how to format your ad. When you sit down to write, consider that renters look for location, convenience of transport and schools — and of course, all of the fabulous features of your property. Go nuts on the detail and post as many flattering photos of your property (indoors and out) as you can. Here are some more articles that may help you as a landlord. 5. Enlist a property manager. 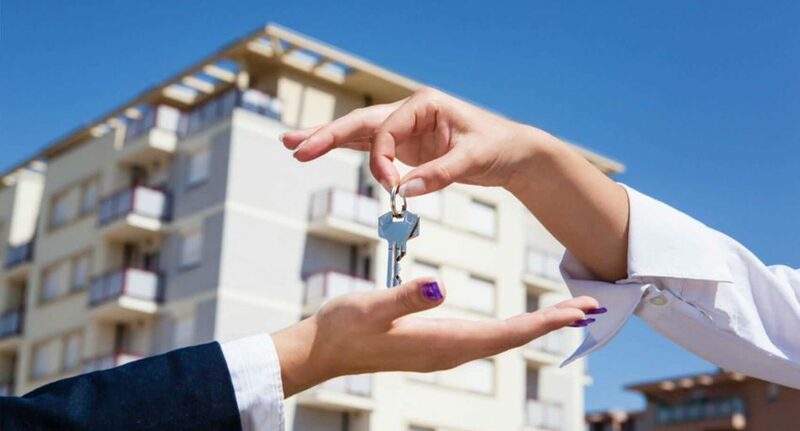 You’re more than welcome to take on the responsibilities of a DIY landlord, but if you really want to get the most out of your investment and save yourself a whole lot of hassle, hire a property manager (or licenced real estate agent). A property manager can handle the tenant search, legal paperwork, maintenance, inspections and all communications. Another advantage of their expertise is the ability to foresee potential problems and nail them from the get-go. Although the cost of a property manager is usually subtracted from the rental payment, in the end you’ll capitalise on returns, and make life much easier, especially if you live a distance from your property. 6. Put agreements and communications in writing. It’s wise to ensure all of your tenant agreements are documented in the form of a lease agreement. This will protect both of you in the event of a legal issue, and means you mutually understand what’s expected from one another. Agreements and other helpful documents are typically found on your state or territory’s Department of Commerce website. Your lease agreement will formalise important aspects like monthly rent, bond amount, inspections and damage reporting, to name a few. You’ll also have the opportunity to clarify what’s OK and not OK for your renter, such as whether pets are allowed or whether repainting the walls is permitted. And of course, you can spell out the consequences of breaking the agreement. Remember, a property manager can assist with this entire process, should you choose to employ one. 7. Keep up repairs and maintenance. The upkeep of your property is vital for new landlords. This is directly linked to your tenants’ legal rights which concern repairs and maintenance under Australian law, so it’s important to fully understand what tenants are entitled to. There are certain upkeep issues — no hot water, for instance — that require immediate attention by law. Just as you should be proactive about repairs and maintenance, so should your tenants. The Queensland Landlord guide states, “The tenant should notify you of any maintenance or repairs needed, preferably in writing.” Set the expectation with your tenant to be forthright with maintenance needs. You’ll want to make sure you have tradespeople on-hand who will answer problems quickly and affordably. Property managers can be heroes in this area, with their access to many cost-effective services. It’s also smart to modernise appliances and apply fresh coats of paint regularly, to limit property value deterioration. 8. Don’t be afraid to raise the rent. Certainly, there’s always the risk of a good tenant moving out when his monthly rent is increased. But if you don’t raise your rent when the market goes up, you’re being unfair to yourself by throwing income — the purpose of an investment — out the window. Part of your job as a landlord and investor is to keep an eye on the market. Think of it this way: Part of your job as a landlord and investor is to keep an eye on the market. It’s just part of the process to raise or lower the rent based on fair market rates. In most cases, tenants expect this at some point and should be prepared for rent increases from their move-in date. 9. Don’t be buddies with your tenants. It’s certainly a day brightener to be known as the ‘cool landlord’. Sadly, personal friendships with renters almost always lead to the landlord being taken advantage of. Intentional or not, one of the most common issues will rear its ugly head — your tenant will expect leniency if he’s late on rent. You’re his ‘friend’, after all. Do yourself a huge favour and stay out of this uncomfortable position. Keep your relationship strictly professional. One of the most common misconceptions among new landlords is the assumption that their building insurance will cover them in the event of damage or loss of rent. The truth is, building insurance does not cover any rent default or destruction by your tenants, which is why it’s best to invest in landlord insurance. Also, insure yourself for ‘acts of nature’, which can pose a real threat to your property value. Let’s face it, Australia is no stranger to storms, floods or earthquakes. Even if where you live poses a small risk, it’s much riskier to take the chance. So, sign up and save yourself the stress, and extra expenses.